The 78266AL Dickies Drop Ship 8.5 oz. Hip Length Twill Jacket is available in Sizes S-5XL. It can be purchased in your choice of the following colors: Black and Dark Navy. SKU: AB-78266AL Categories: Activewear, Jackets, Jackets, Polyester Jackets, Men's Clothing, Men's Jackets, Men's Outerwear, Youth Warmup Jackets, Women's Clothing, Women's Jackets, Youth Clothing, Outerwear, Heavyweight Sweatshirts, Shop by Color, Black, Navy Tags: heavyweight sweatshirts, men's clothing, men's jackets, men's outerwear, polyester jackets, women's jackets, youth warmup jackets Brands: Dickies. This Dickies Drop Ship 8.5 oz. 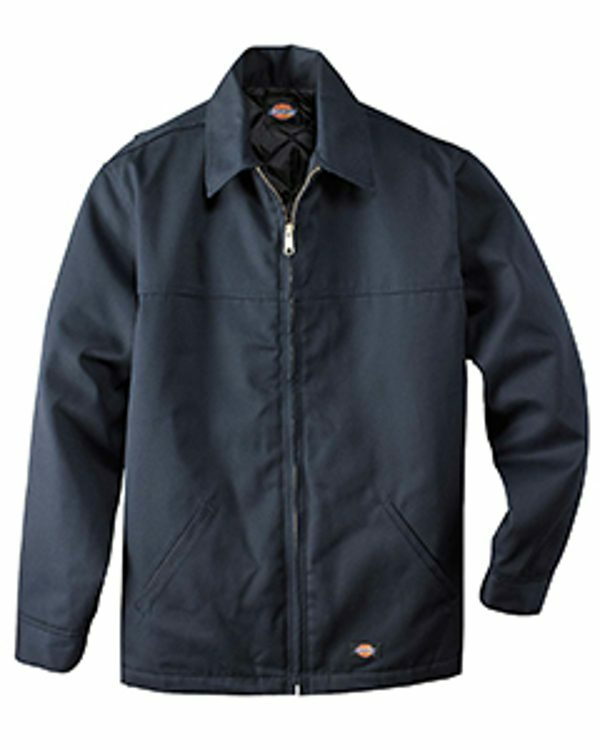 Hip Length Twill Jacket is made with a combination of polyester & cotton which is perfect for men, women or youth.